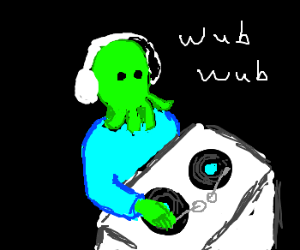 DJ 'Thulu's Mad Playlists: It's Still Rock and Trolls To Me. From talk of politics, racist butter pimps, and personal revelations they come. Creeping into the sunlight from their world of grey comments and hateful disagreement. Their noxious words spit like paralyzing goo to halt any flow of civilized discourse. We hate them, yet love to mock them. Well, it's time to grab your oil flasks and crawl under them bridges as my fat beats +1 motivate your saving throws. JUST TROLL WITH IT BAY-BE! Bonus Funtime! Because I wish I could post this for every troll. Love means never having to say "Spaaaaahceeey".